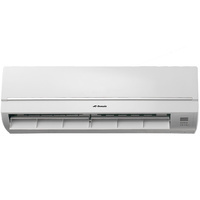 The ISR35H inverter split system air conditioner is a very powerful wall mounted air conditioning system. 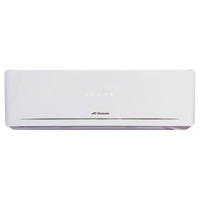 This premium split system air conditioner has been developed with state of the art inverter technology to increase the efficiency to the highest standards in the market today. 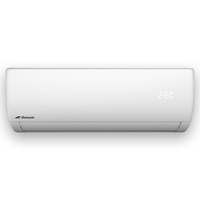 This Domain Air inverter split system has various functions right at your fingertips and with a variable speed inverter compressor the ideal temperature can be maintained all year round. Install an ISR35H inverter split system air conditioner in your home or office and enjoy the benefits of this premium air conditioner today. 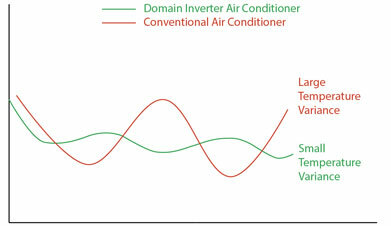 Domain's Inverter reverse cycle air conditioning is perfect for can heating and cooling your home. It can be one of the most efficient ways to heat your home using electricity. Domain's reverse cycle air conditioners absorb heat from the outside air to warm the air inside. This is a more efficient heating technique than other conventional heating appliances which have to "create" heat energy. Domain's air conditioner absorbs the heat from the inside air and dissipates it the outside, leaving your home comfortable and cooler. Domain's inverter split system air conditioners are more powerful whilst also more energy efficient than conventional systems. The inverter technology works by automatically varying their speed up and down in relation to fluctuations in room temperature to provide a more consistent desired temperature. This ability to vary the speed of the compressor allows Domain's inverter systems to be highly energy efficient. These premium inverter split system air conditioners offer various operating functions including heating, cooling, fan, dehumidification(dry) mode, and multiple fan speeds ensuring your comfort all through all seasons for many years to come. 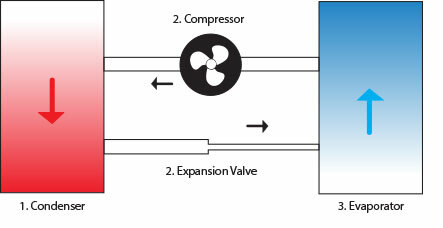 The compressor is the heart of a Domain air conditioner. 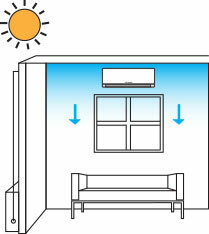 Situated within the outdoor unit, the compressor pumps refrigerant to the indoor unit. This unit features a quality rotary compressor.